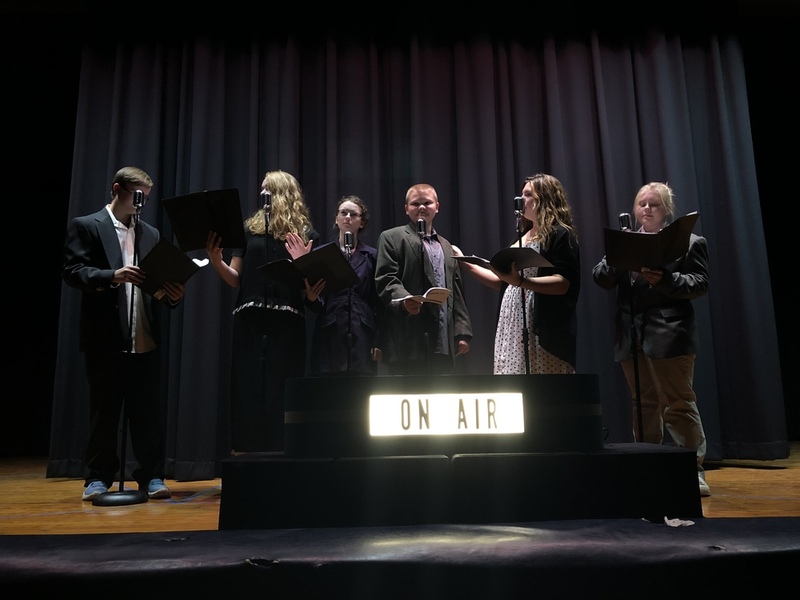 SEHS Drama Presents "It's a Wonderful Life, A live radio play!" "It's a Wonderful Life, A Live Radio Play!" Admission: $5 at the door. This Saturday and Sunday, the St. Elmo High School Drama Dept will be presenting "It's a Wonderful Life, A Live Radio Play!" The concept behind the play is that the audience is being treated to the retelling of the story of "It's a wonderful Life", as if they were sitting in a Radio station in the 1940's. The students will be reading the play using vintage microphones, and will also be creating their own sound effects live during the performance. The play features 40 characters that are voiced by the 11 actors on stage. Please consider joining us this weekend to kick off your Holiday Season!